The Elarum Woods lies along the coast between Vaul and Sarid. This large region is a wilderness claimed by neither region. Only a few villages lie along the edges of the great forest. No tribes, clans or villages live in the center. 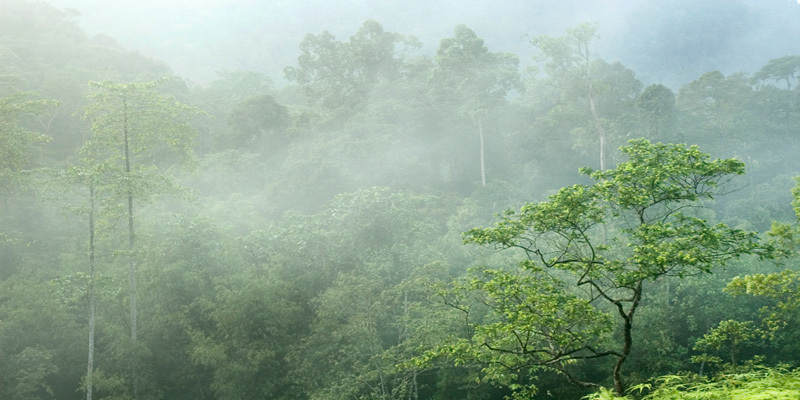 The Elarum Woods is a warm, tropical rainforest with sweltering summers and cool, rainy winters. This large wooded region is home to dozens of species of extremely large trees including Forest Lords and other trees that reach heights of hundreds of meters. Beneath the forest canopy is an ocean of thick, clustered ferns that choke the forest floor. Thick vines and green moss hang from the branches of most trees. The humid atmosphere is often mist filled. The Elarum Woods is also home to several species of monkeys, brightly feathered parrots, sloths, anteaters and several types of large rodents.. Although there are a few sites of ruins littered about the region here and there, none are intact or of any significance.